While at our local craft store, Hobby Lobby, this weekend the girls and I picked up a pack of knitting looms. I've never learned to knit but have done crochet for years. 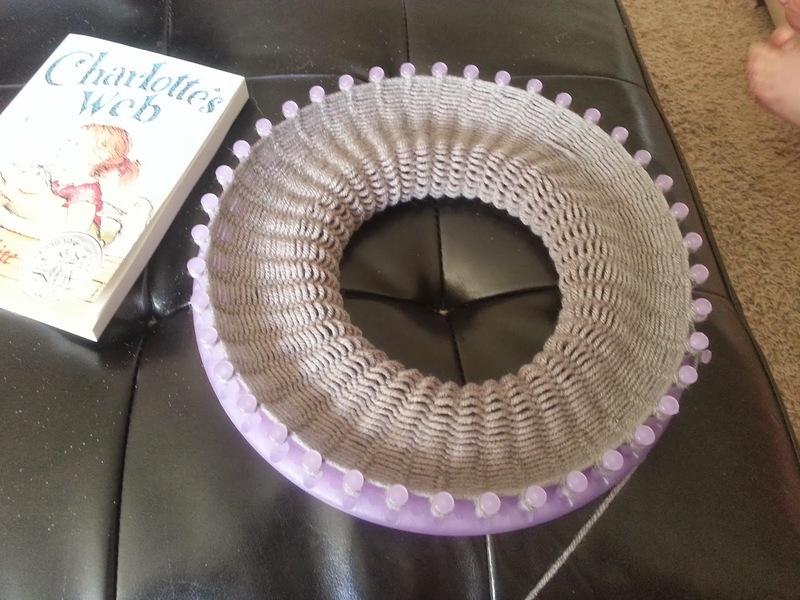 I had heard that knitting looms were good for kids to learn on and also thought it would be a fun activity for us to do together. It was timely as later in the day, Penny came down with a stomach bug and had just enough energy to do the loom while laying on the couch and watching the Olympics. My first project was a hat. The girls are working on hats too; smaller versions for their American Girl dolls. 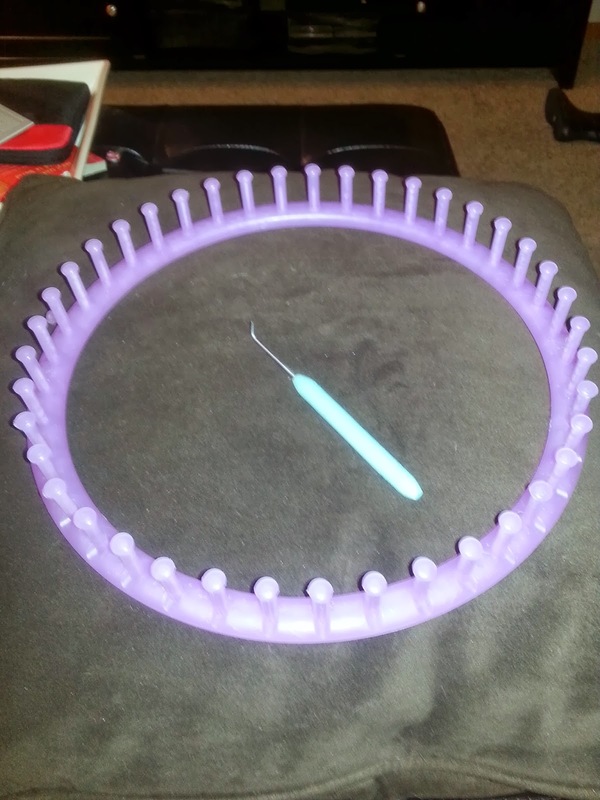 Our supplies included a knitting loom, a loom pick, and cheapo acrylic yarn I had on hand. 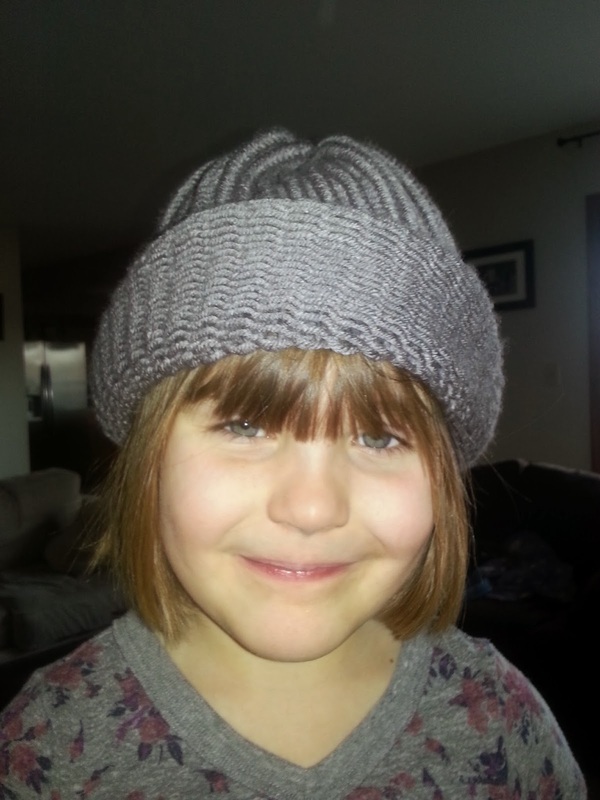 This is my sicky girl wearing the hat I finished today. It has an unfinished band and took about 4 hours to complete. I'll probably start another one for another kid this evening as it is very relaxing to do in front of the tv and I can easily pick it up and put it down.